Wood bats come constructed from a variety of wood types, including ash, maple, birch and bamboo. Each wood type has its own redeeming qualities and its setbacks. In this article, we have brought together a quick guide that include the best wood baseball bats 2019 as well as other guidelines on what to look for when choosing a wood bat. We hope that by the end of this guide, you will be able to make an informed selection and choose a bat that best meets your requirements. Marucci is the leading manufacturer of wood baseball bats and has been around for a long time. The company prides itself in its brilliant craftsmanship and this is well reflected in the wood bats from Marucci. The AP5 Maple bat from Marucci is hand-crafted. This means that unlike other machine-made bats, this bat has greater finesse. The bat packs a sizable barrel which makes it easier for you to hit the incoming baseball accurately and with explosive power. To make sure the barrel is very compact and solid, it has been bone rubbed to achieve a greater wood density. If you have an experience of swinging wood bats and have the style of a power hitter, this bat is for you. 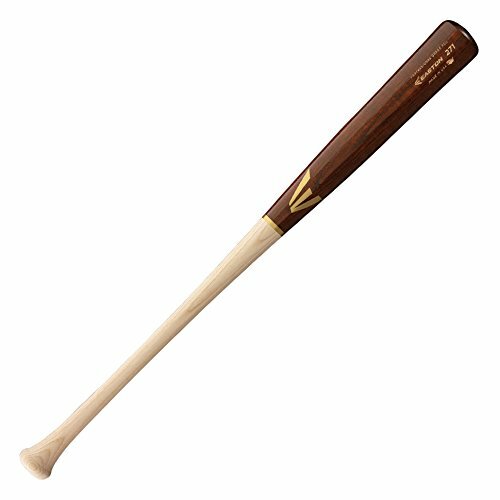 Constructed from maple, the bat carries all the characteristics of this type of wood. It is exceptionally hard and dense, and it offers an excellent exit speed when you hit with it. At the same time, it is quiet durable. Louisville Slugger is another top baseball bat manufacturer. The company’s name is synonymous with quality and performance. And a number of professional baseball players swing Louisville Slugger bats on the plate. This commitment to excellence and quality is reflected in the 2019 MLB Prime Maple C271 bat. Louisville constructs this MLB bat with the top-grade maple wood. To add to the hardness and durability of the maple construction, the bat feature EXO ARMOR. This is a cutting-edge finish that is applied in three coats to the barrel. The result is that the barrel in incredibly smooth, a lot harder and delivers a better performance. The bat is designed for use by power hitters as well as contact hitters. The bat packs a standard barrel and a standard handle. The handle concludes with a max knob taper that adds to the stability of the hold and lets you swing the bat with confidence. The overall construction of the bat meets the rigorous Ink Dot stamp requirements. This means that the bat has big league quality and is perfect for us in the big league matches. The Rawlings VELO R110CR is a composite wood bat. The bat carries the trademark qualities of Rawlings bats such as optimal performance and solid construction. To top it, it is made from composite wood material. This means that the bat delivers an exceptional performance and is very durable. So you can expect this bat to last you many seasons. The VELP R110CR bat packs a 2.5-inch barrel. The overall size of the barrel is average and the bat has a very balanced feel overall. This makes it perfect for contact hitters who wish to speed up their swings. The composite barrel offers a solid pop, so when you hit right with this bat, it is going to hit hard and far. The bat packs a 15/16-inch handle. The slim handle profile makes it convenient for you hold the bat stably and also adds to the overall speed of the bat’s swing. The bat features a weight drop of minus 3. 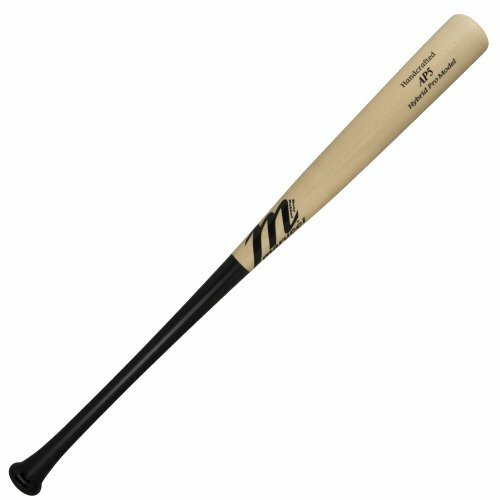 It carries the BBCOR certification which makes it an excellent wood baseball bat for use in high school and collegiate games. Easton has a reputation for producing baseball bats that win games. It is no surprise that the company is a favorite among all levels of baseball players and continues to dish out top-performing bats year after year. This year, the PRO 271 Ash wood bat from Easton is among the best wood baseball bats out there. 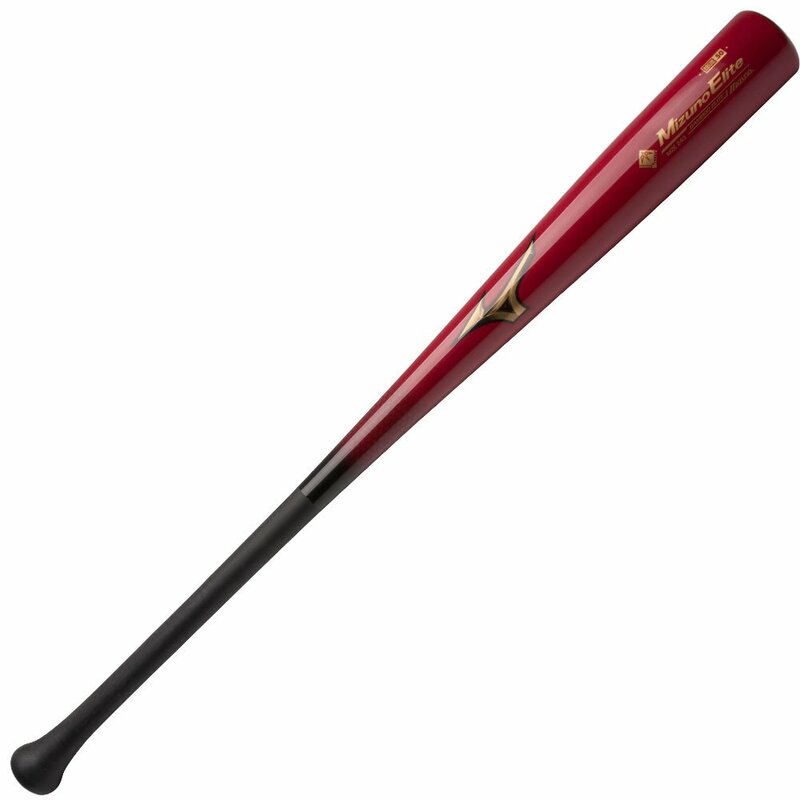 The bat carries an elegant and neat finish with a medium-sized barrel and handle. The size of the barrel offers a great balance between swing speed and hitting power. Compared to more solid wood types, ash has a better flexion and delivers a greater trampoline effect. This means that you can farther with this bat when you hit right. The overall feel of the bat is very balanced. The barrel has a tapered profile while the handle culminates in a traditional knob with a cupped end. The cupped end is designed to reduce swing weight and achieve greater swing speeds with this bat. If you prefer a bat that is light enough for speedy swinging and yet, solid enough for some serious hitting on the plate, this bat is for you. 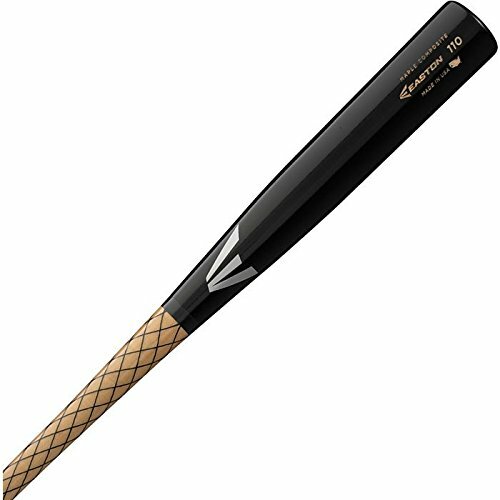 The Rawlings 110RBv VELO is another excellent wood baseball bat this year. Rawlings has gone with a composite construction in this bat, bringing together the advantages of bamboo and maple. The two types of wood are perfectly brought together to create this high-performing bat. The handle and middle taper is created from bamboo wood. This ensures that the bat is more durable and incurs no damage no matter how hard to hit with it on the plate. In the barrel, Rawlings has used top-grade maple wood. Maple brings solidity and density to the barrel, letting you hit powerfully with this bat. The barrel is medium-sized so that it maintains a good balance between power and swing speed. To add to the overall balanced feel of the bat, Rawlings has included a Pro Cupped. The cupped end ensures that you are able to control the swing momentum perfectly and aim the incoming baseball with the right spot on the barrel. The handle features a slim 15/16-inch profile which makes it easier for you to grasp the bat with a stable grip when using it. The bat has a weight drop of -3 and is perfect for use in professional league matches. Mizuno is well-known and well-established brand in the baseball manufacturing industry. The company has a reputation for creating baseball bats that deliver optimal performance and are durable at the same time. The Mizuno Bamboo Elite bat is essentially a composite wood bat. The handle of the bat is constructed from bamboo and fiber glass melded together. This brings an exceptional degree of strength and durability to the handle. The barrel has been constructed from bamboo. Bamboo has a reputation for being ultra-hard, so you can be sure of excellent exit speeds when hitting with this barrel. The barrel has a 2.5-inch profile which makes it perfect for use in high school and collegiate matches. The bat carries BBCOR certification and has a weight drop of minus 3. The bat has a cupped end which adds to its balanced feel overall. As a result, you are able to swing the bat with greater accuracy. The bat is especially well-suited for hitters who have some experience of using wood bats and want to increase their swing speeds on the plate. BBCOR wood bats refer to a specific type of wood bats that adhere to defined requirements. These requirements stipulate that such bats must have a weight drop of minus 3, a barrel sized at no larger than 2 5/8” and carry the BBCOR certification. Here is a quick list of the top 3 best BBCOR wood bats this year. Marucci is one of the most reputable baseball manufacturers around the world. The company is known for producing some of the best baseball bats each year. In particular, Marucci has a reputation for manufacturing brilliantly crafted and high-performing wood bats. The Albert Pujobs Hybrid bat from Marucci clearly reflects these qualities. This bat features a hybrid design, combining the best of wood and composite materials. The exterior of the bat has been entirely constructed from 100% maple wood. On the inside, the core has been reinforced with a two-piece composite tube, adding to the durability of the bat. The inner composite tube also optimizes the performance of the bat so that you can hit harder and farther with it. The bat features a 2 5/8-inch barrel. This is combined with a slightly tapered knob. The tapered knob design lets you hold and swing this bat with greater stability, with a very slight end-loaded feel towards the barrel. The end-loaded feel also adds to the swing momentum and force of the bat, especially if you are a power hitter. The bat carries a BBCOR certification and also approved for use in NFHS, NCAA and other leagues. X Bats is another company known for manufacturing world-class wood bats. A huge number of MLB players use bats from the company every season. The Pro Model 73 is an excellent BBCOR wood bat from X Bats this year. Model 73 comes constructed entirely from maple wood. X Bats has used premium-grade maple for this bat to ensure maximum durability and power. The bat comes with a 2 5/8-inch barrel and has a length of 33 inches. The large barrel offers ample opportunity to hit accurately and with optimum force. The handle has a 15/16-inch profile and a flared design. The flaring on the handle ensures that you are able to swing the bat without incurring any wrist injuries. Model 73 features a relatively larger knob. This knob acts an excellent counter to the larger barrel, resulting in a very balanced feel on the bat. The balanced feel of the bat makes it equally excellent for contact hitters as well. At the same time, power hitters can make the most of the solid, large-sized barrel on the plate. This bat from X Bats is BBCOR certified, so you can use it in any league matches that require a BBCOR bat. Mizuno manufactures a diverse range of quality baseball bats each year. These include wood BBCOR bats as well. 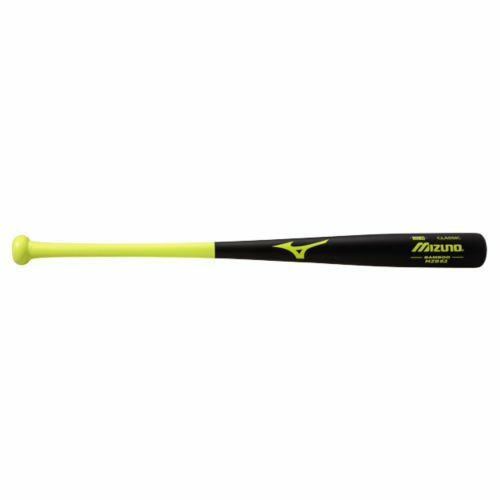 The MZB62 from Mizuno is an excellent wood bat with BBCOR certification. This bat comes constructed of bamboo wood, so you can expect an extraordinary degree of durability. Although not exactly the best-performing wood type, bamboo is incredibly long-lasting which makes this bat the perfect choice for your training sessions. The bat packs a 2 5/8-inch barrel and a sanded handle. The sanded handle enables you to grip and swing this bat with greater stability. What League use BBCOR Wood Bats and This type Bat is for Who? BBCOR stands for Batted Ball Coefficient of Restitution. A BBCOR certification essentially ensures that a given bat cannot hit the incoming baseball beyond a certain speed. This is done so that the safety of the players on the field can be ensured that the composite/metal bats can be put at par with wood bats. In general, BBCOR certification only applies to bats which are constructed from metal and composite materials. In the case of wood bats, BBCOR certification is required for such bats which may use hybrid designs or composite materials alongside the wood. BBCOR bats are primarily used by players in the Senior League. All non-wood bats in the Senior League are required to carry BBCOR certification. This puts them at par, in terms of performance limits, with wood bats and makes it safe to use them on the field. Senior League players in the 16-18 age bracket most commonly use BBCOR bats in the high school and collegiate matches. More recently, BBCOR bats have also been allowed in Intermediate and Junior League divisions. This means that players aged younger than 16 may also be allowed to wield a BBCOR bat on the plate. However, for Intermediate and Junior League divisions, BBCOR requirements and permission may different from one place to another. So it is best to consult with your respective baseball authorities regarding the use of BBCOR bats at the younger levels. In general, BBCOR bats are meant for use at the collegiate and high school level. These bats are a transition stage between junior-level baseball and professional baseball. So using them gives you good training and experience for the professional league matches you may play in the future. Maple wood bats are the most common type of wood bats used in baseball games. They are especially preferred by professional players. This is because maple bats feature a very hard and dense barrel which makes for some powerful hitting. This makes maple bats ideal for players who like to rely on their hitting prowess to hit farther. The bat has little to no flex but the stiff feel is exactly what makes it perfect for power hitters. A slight downside is that maple bats are slightly heavy. In other words, compared to some other varieties of wood, a maple bat may have a slower swing speed and you may find it slightly harder to control the swing momentum. Another drawback is that maple bats come with significantly smaller barrel and shortest sweet spot. This makes them perfect for a player who has can hit accurately but for other players, this means that they may end up hitting inaccurately. So maple bats are essentially the right choice for players who are experienced, can hit accurately and like to rely on their hitting power to throw the baseball farther. Birch has recently gained popularity as the preferred wood material among younger baseball players. This is primarily because birch bats don’t require you to be very experienced in using wood bats. In fact, they are often used by the players who have just starting using a wood bat. The reason is because it is easier to hit with a birch bat. A birch bat is quite hard and dense, slightly less so than maple, and more so than ash. At the same time, it is not as stiff as maple but offers some degree of flex. So with a bigger barrel, some degree of flex and an easier learning curve, birch bats are perfect for players who are using a wood bat for the first time. Also, compared to maple bats, they are slightly less weighty, which means that you can achieve greater swing speeds when using them. Ash bats are the easiest to wield on the plate. This is for a number of reasons. For a start, ash bats have a significantly large sweet spot which makes it easier for players to hit the baseball right when wielding them. Another notable feature of an ash bat is that it offers a great degree of trampoline effect. So you are able to use the bat’s flex to throw the baseball farther. Compared to maple or birch, ash bats are less hard and dense. The upside of this is that they offer incredibly fast swing speeds which makes them ideal for contact hitters. The downside is that ash bats do not have the same degree of solidity as maple bats and do not hit as hard or far as maple or even birch. The light-weight and less hard profile also means that ash bats are less durable. Still, ash bats are a great choice for contact hitters who like faster swing speeds and a barrel that helps them hit right. Bamboo bats have catapulted into popularity since 2000. They have quickly found a place alongside other wood varieties when it comes to baseball bats. This is because bamboo bats come with a variety of advantages. A bamboo bat is essentially constructed by pressing bamboo strips together, so it is not exactly a wood bat in the conventional way. Still, it is regarded as a wood bat variety although you require BBCOR certification for a bamboo bat to use it in a league match. The most overwhelming advantage of a bamboo bat is its strength and durability. Bamboo, in general, is more tensile than steel. So a bamboo bat features a barrel that is incredibly hard and offers great exit speeds. In general, bamboo delivers a solid performance and is very durable. Composite wood bats are constructed by mixing different wood materials and blends. The most notable advantage of this is that manufacturers are able to manipulate the properties of a composite bat and add the desirable features. So where most other wood bats are made from a single piece, this is not the case with composite bats. This also means that composite wood bats can be made to be stronger, harder and more durable than other wood bats. In fact, they are the most durable type of wood baseball bats. Composite wood bats are a popular choice among baseball players. Below are quick reviews of some of the best composite wood bats available on the market this year. DeMarini is a well-known and reputable brand in the world of baseball bats. The company launches a large line-up of bats every year, including quality wood composite bats. This year, the D243 Pro Maple is an excellent wood composite bat from the company. D243 features a multi-piece design that utilizes both wood and composite materials. The composite material adds to the overall strength and durability of the bat while the wood composition gives you the experience of hitting with wood on the plate. D243 comes with a sizable barrel and a large sweet spot, making it easier for you to hit it right with this bat. The bat has an end-loaded design. The small amount of additional load towards the barrel end gives you extra momentum when swinging the bat through the hitting zone. The end-load is particularly useful in the hands of a power hitter who can quickly master the swing momentum to deliver an explosive performance during the game. D243 has a weight drop of minus 3. It is approved for BBCOR as well as a number of other leagues. Easton is another baseball bat brand that needs no introduction. The company has been in the baseball bat market for a fairly long time and has acquired a loyal following. Easton bats are also often seen in the hands of professional players. The 110 Maple Composite bat from Easton has made it to our list of top wood composite bats this year. This bat comes constructed mainly from the top-grade maple that is incredibly hard. The hard maple is handcrafted to create this bat which features an exceptionally high exit velocity. In other words, you are able to hit harder and farther when swinging this bat. The maple wood is combined with composite materials to add to the overall durability of Easton 110 bat. The bat is equally effective in the hands of a power hitter as well as a contact hitter. It carries the ink dot certification which ensures that it is constructed from best-quality maple wood. The barrel of the bat is medium-sized and features a cupped end. The cupped end adds to the overall balance of the bat, giving you a very smooth swinging experience. The bat features a rather traditional knob and a thick handle. Together, these two traits let you swing the bat with maximum stability and control. The handle is constructed from composite material and covered in resin. This ensures both strength and firm grip when you are using the bat. Rawlings bats are equally popular among high school players and professional hitters. Available in a wide variety, Rawlings bats are known for their performance and durability. The R234CS from Rawlings is no different. This bat from Rawlings features a good-sized 2 9/16 inch barrel. The larger barrel lets you hit the incoming baseball more effectively and with greater accuracy. The barrel is end-loaded which adds to the swing momentum and force of the bat. This makes it particularly effective in the hands of a power hitter who can channel this extra momentum into explosive hitting force. The Big Stick R243CS packs a 15/16-inch handle. The slim profiles make it easier for you to grasp the handle firmly and retain a stable grip when swinging it on the plate. The bat has a weight drop of minus 3. It carries BBCOR certification which makes it eligible for use in high school as well as collegiate matches. Marucci is an established brand in the world of baseball bats. The company has a reputation for dishing out quality bats year after year. And it is noted for the fact that a large number of professional players choose to wield a Marucci bat on the field. This reputation also extends to the wood bats created by Marucci. The wood bats from Marucci come with an excellent degree of craftsmanship and are meant to deliver a world-class performance on the field. The company offers various varieties of wood bats with different price tags and features, so it is easy for you to pick a Marucci wood bat that is exactly suited to your style and requirements. Also notable is the fact that Marucci uses only the top-grade woods in the construction of its bats. So you can be sure of the quality and performance of these bats. Rawlings is another brand that has a long history of being a reliable and trusted manufacturer of baseball bats. The company has a popular appeal and is often preferred by baseball players at large. When it comes to wood bats, Rawlings offers bats constructed from different varieties of wood. These include birch, ash, maple and composite wood. So you can get a Rawlings bat with the right density, exit speed and specifications that suit your hitting needs. Another interesting thing about Rawlings is that it deals in blemish wood bats as well. These are bats that perform exactly as standard bats but have either been returned by a buyer or have some tiny flaw like some chipped-off paint. The flaw is in the appearance and not in the performance of the bat. Louisville Slugger is synonymous with wood baseball bats. The company pioneered some of the best wood bats in the history of the sport. And for this reason, the company takes pride in the fact that some of the best baseball players in history have used a Slugger wood bat when hitting their way to victory. Louisville Slugger constructs its wood bats from a variety of woods. The company primarily focuses on maple, ash and birch woods. It has a reputation for using only the best-grain woods to construct wood bats that features the highest quality and the best craftsmanship. Still, if you are looking for the best performance, you need not look any farther than a good Louisville Slugger wood bat. Easton is another renowned baseball bat manufacturer. Unlike many other reputed bat brands, Easton has a more popular appeal and caters to the baseball-playing masses with its huge range of affordable baseball bats. When it comes to wood bats, Easton specializes in composite wood bats although the company also produces conventional bats created from ash, maple and birch. Easton’s wood bats are primarily geared towards high school and collegiate players. The wood bats from Easton are available in different turn varieties. A turn is a number that specifies certain features of a bat. Easton produces bats with 110 Turn, 271 Turn and 243 Turn. Each Turn model comes with its own set of advantages, so you are likely to find a model that best suits your requirements. Wood baseball bats come in many types. They are broadly categorized on the basis of the material they are constructed from. Typically, wood baseball bats are constructed from maple, birch, bamboo or ash wood. Composite material, using more than one wood type, is also used in constructing these bats. Each wood type has its own benefits and downsides. The maple wood bat, for instance, offers an exceptionally hard barrel which makes for great power hitting but it is also heavier at the same time and packs a much smaller sweet spot. Ash, in contrast, has a larger sweet spot, is light-weight and offers more flex but doesn’t have a barrel that is as hard. So you should consider the pros and cons of each bat type, as elaborated above, before determining the right bat type for you. Your experience in using a wood bat is also a very important consideration when choosing a wood bat. If you are new to wood hitting, you should go with a wood bat that makes it easier for you to hit right. Bamboo or ash, for instance, let you hit the incoming baseball easily and accurately. In contrast, maple is usually meant players who already have a good hang of wood hitting. This is because maple is heavier and has a smaller sweet spot, so that only experience players are able to hit effectively with it. Composite wood bats are also better suited to experienced players in general. So before you choose a wood bat, determine your own experience in wood hitting and then make the choice. The weight of the bat is an important factor. This is true for baseball bats in general and wood bats in particular. This is because the weight of the wood baseball bats varies considerably from one wood type to another. Maple and bamboo are considerably heavy whereas a wood variety such as ash is more porous and less weighty. Weight has an impact on the swing speed as well as the exit speed of the bat. As a rule of thumb, the more weight a bat has, the slower is it going to swing. So if you looking to achieve exceptional swing speed, you should go with a light-weight wood bat. At the same time, a light-weight wood bat has a barrel that isn’t as hard or dense. This translates into lower ball exit speed. For instance a maple bat, which is very hard and dense, is heavier but it also offers better ball exit speed than ash, which is more light-weight and less dense. So if you are a power hitter, you may want to go with a heavier bat with a more solid barrel. If you are a contact hitter or if you are focused on swing speeds, you should choose a lighter wood bat. The handle diameter plays a role in determining the swing speed and overall durability of a wood bat. Typically, if you have smaller hands, you may want to go with a bat that has smaller handle diameter simply because you can grasp the handle more easily. Similarly, if you have larger hands, a handle with larger diameter will suit you better. But there are exceptions to this rule. The benefit of a thinner handle is that it is easier to wield and allows you to swing the bat at greater speeds. The downside is that a thinner handle is more prone to breaking whereas a handle with a larger diameter is more durable. Again, your personal preferences play a role. If you are a power hitter and want a durable wood bat in your hands, go with a larger handle diameter. If you are a contact hitter and speed is your key concern, a thinner handle diameter should be your preference. Barrel diameter of wood baseball bats also varies considerably. Larger barrels tend to be heavier and offer more hitting force, so they are ideally suited for power hitters who aim at hitting home runs. Yet, it is important to note that larger barrels are also heavier and apart from slowing down the swing speed, they are also comparatively harder to control. They are ideally suited for players who have good arm strength and are able to control the swing momentum and speed by their sheer force. In contrast, barrels that are comparatively small in size are less heavy and easier to wield. They afford greater swing speeds but they may not be able to hit as hard and far as larger and heavier barrels. They are better suited for contact hitters. Length to Weight Ratio is more popularly known as weight drop. The weight drop of a bat generally indicates how easier it is to swing. It also gives you an idea of the overall balance and feel of the bat. Typically, the lower the weight drop, the heavier is the bat and the higher the weight drop, the lighter is the bat. However, the weight in this context is always calculated relative to the length. For high school and collegiate play, a weight drop of around -3 is considered the right choice. If you are a power hitter, you can even go with a -2 wood bat to have a heavier bat for the hitting. Single-piece wood bats are generally approved for use in most league matches, especially when they are constructed from conventional wood varieties such as maple, birch or ash. More recent wood varieties, such as bamboo, typically requires proper certification and approval before they can be used at a league match. This also applies to composite wood bats. Basically, if the bat is a one-piece wood bat and comes from a notable brand, you will likely not need any approval or certification. But if it is a multi-piece bat, you should see whether or not it is approved for use in the right leagues. Wood baseball bats were where the sport started. So, wood bats are almost synonymous with the game of baseball. These bats offer numerous advantages and help you to improve your game as a player, get a better idea of the hitting zone, achieve improved hitting accuracy and grow as a hitter. The big question for most players is, which wood bat is right for me. The right answer is that ultimately, the right bat is the one that suits your style and preferences. As covered above, there are different types of hitters. Most notably, there are the power hitters and contact hitters. For a power hitter, the right wood bat is the one that is dense and hard. In contrast, a contact hitter goes well with a wood bat that is light and offers greater swing speeds. But these are just two of the many factors stated above. So before you get to choosing the best wood baseball bats, you have to look into your style and your needs. Are you a power hitter? Or are you looking to gain better swing speeds? Are you new to using wood bats or do you already have a good hang of it? What is your budget limit? By answering these questions, you will be sure to find a wood baseball bat that is perfect for you.